They do think about product categories. These meet their needs very well by organising what’s available. Your brand is a choice amongst many other options. Your job (and ours) is to get it chosen. Penetration (the number of people who buy the brand) is built by physical and mental availability. 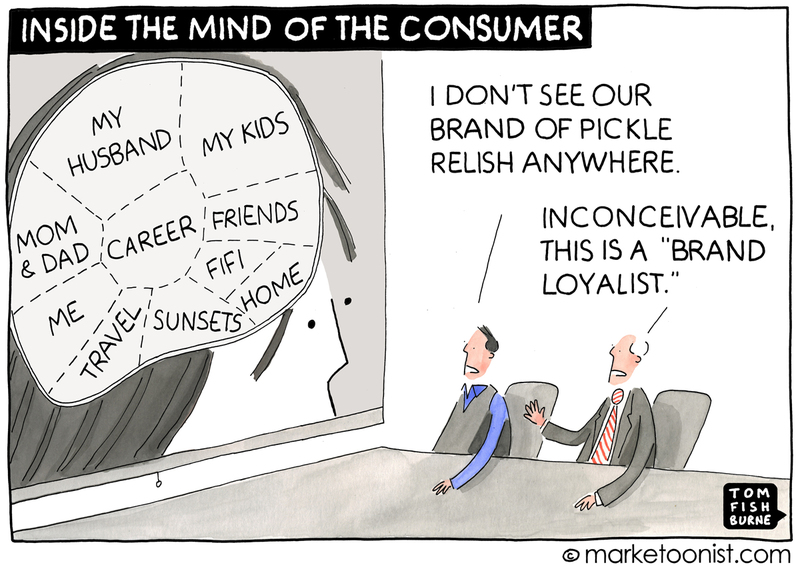 Mental availability is the degree to which your brand is recalled from memory when consumers think about their (category) needs. Brand teams rightly focus on creating engaging, breakthrough communication, but this is just wallpaper without Distinctive Assets. These are visual, verbal and sonic features that (over time and with consistent use) make your brand memorable. It’s not enough just to have Distinctive Assets. They need to be integrated into the communication of your brand’s promise and story. Stories make it easier for the human brain to store and retrieve information.